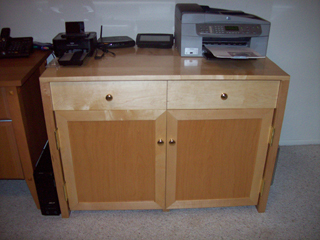 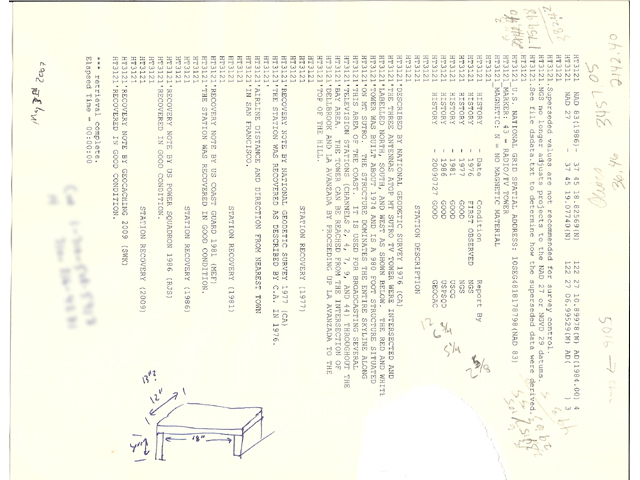 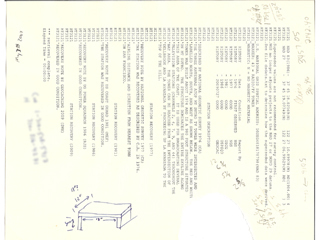 This page documents the work completed after the cabinet was done. I was able to build some add-on parts for the cabinet. 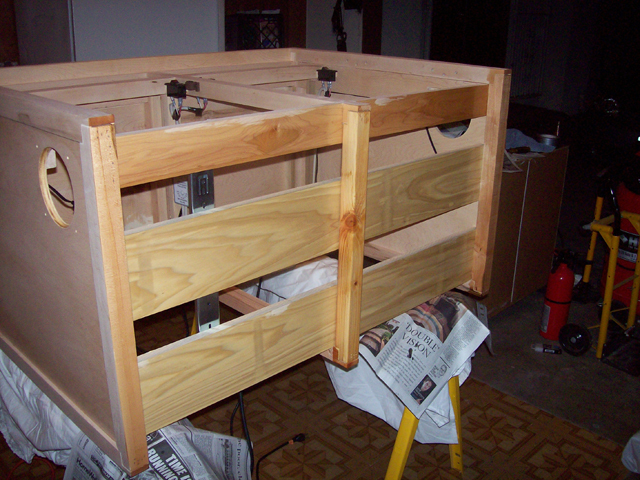 When possible, I used scrap material from the original construction. 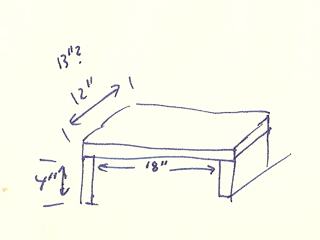 View of the page I sketched the design for the hutch upon. 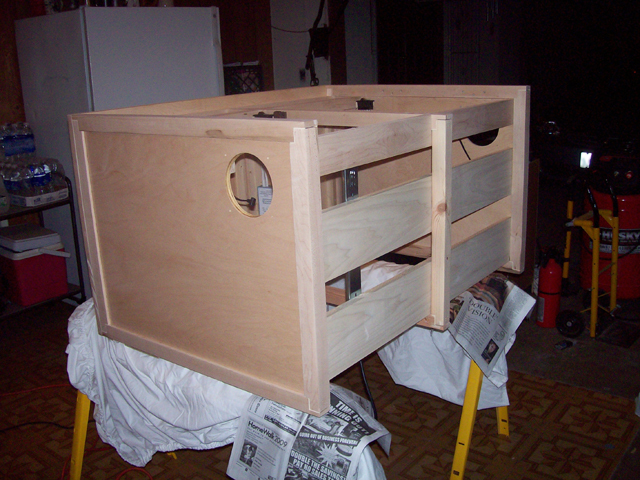 This was all I had to work with in design of the hutch. 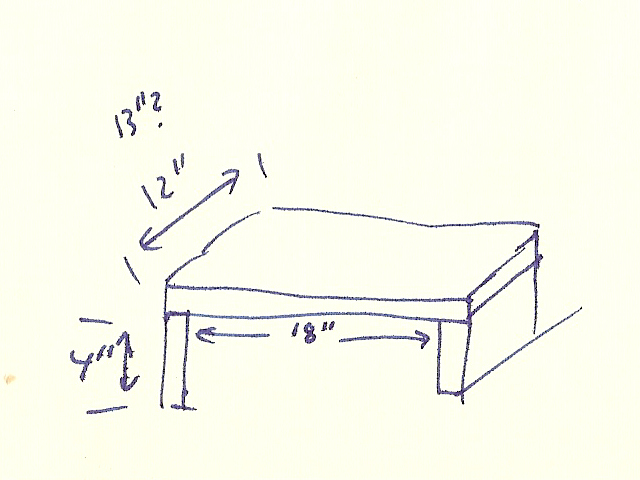 The design was based on actual VCR measurements. 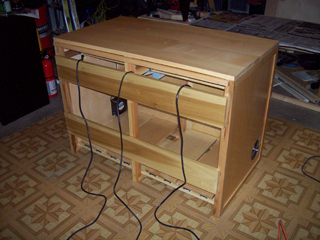 View of the cabinet body as it rests on the saw hourses on its back ready to finish the bottom. 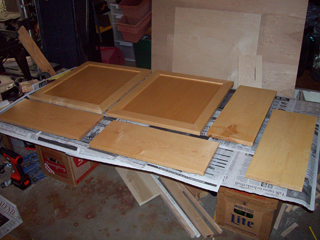 View of all the cabinet parts ready to begin finishing. 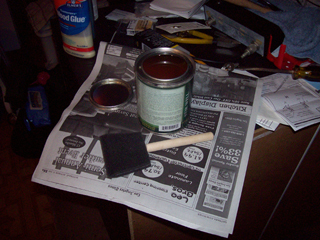 View of the finish and the sponge applicator, at least one of the ones that will be used. 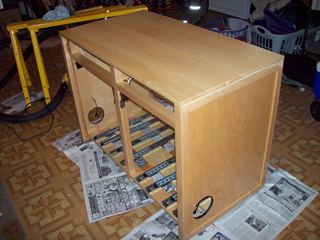 View of the bottom after the finish was applied. 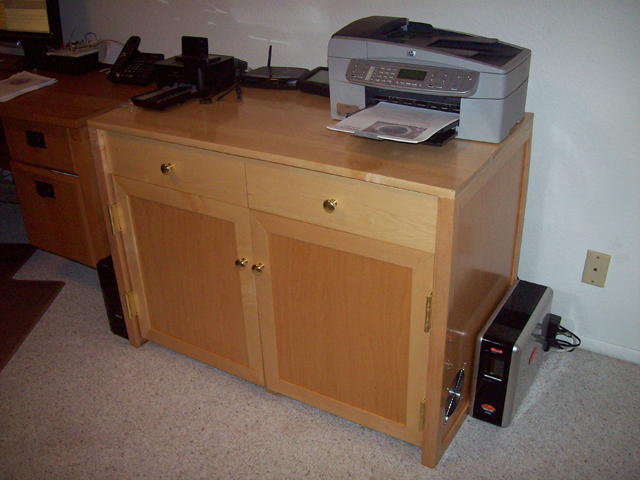 Actually noticed after viewing this photo that I had missed a few spots and went back to get them later. 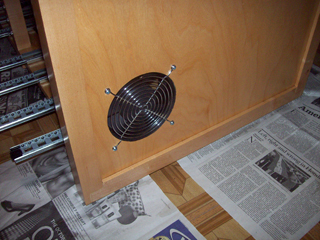 Since the sides were veneered plywood, dark stain was applied to cover the obvious visual issue in the fan cutouts. 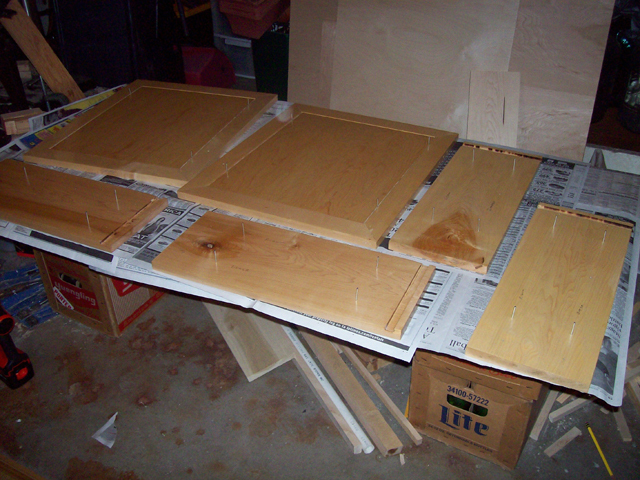 View of the doors and shelves after finish. View of the cabinet base after the finish was applied. 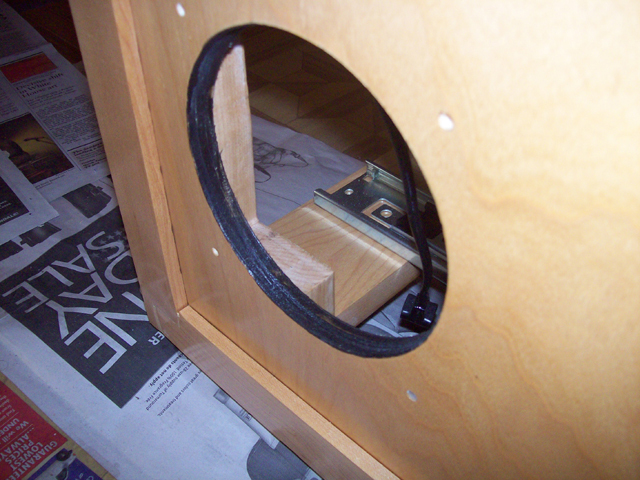 View of the finishing of the switch wiring. 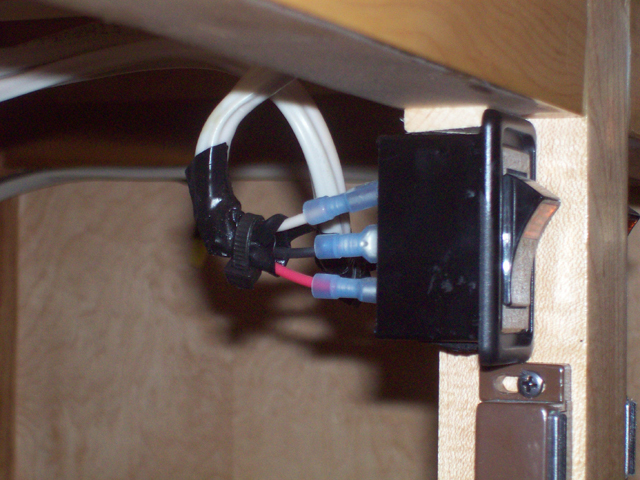 The electrical tape was releasing, so a zip tie secured each connection. 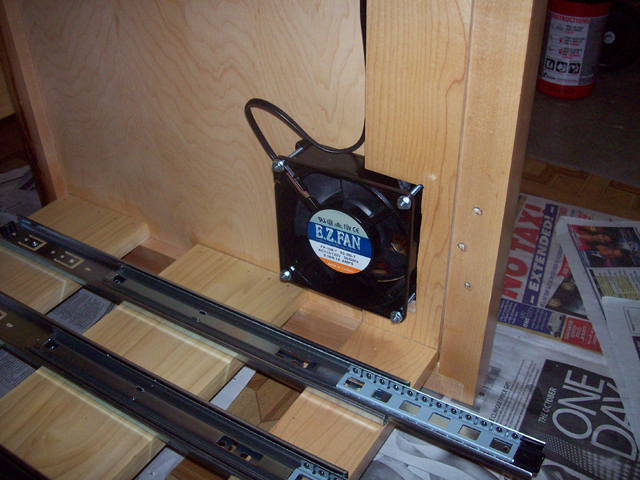 Outside view of one of the fans after final installation. Intside view of one of the fans after final installation. View of the doors and shelves showing the finishing nails used to elevate them and allow finishing of the front and back at the same time. View of the cabinet from the front after being finished and reassembled. 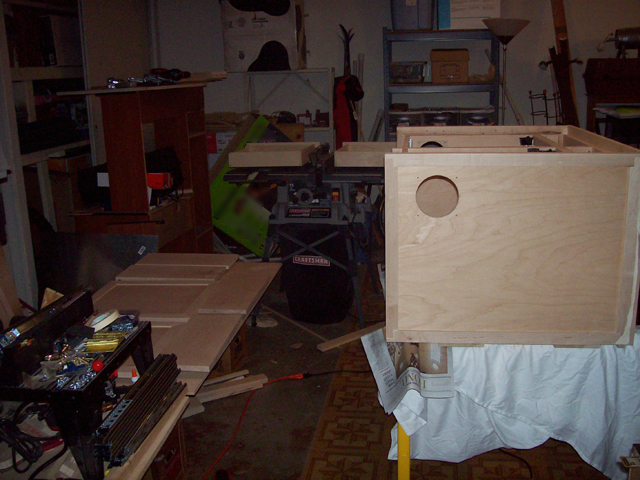 View of the cabinet from the rear after being finished and reassembled. 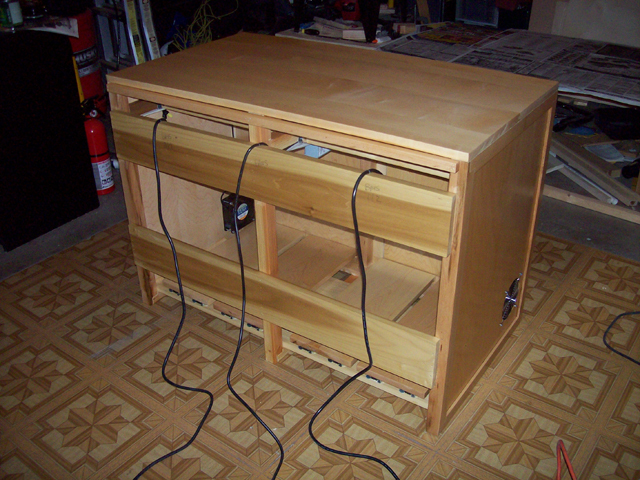 View of the completed and installed computer cabinet. 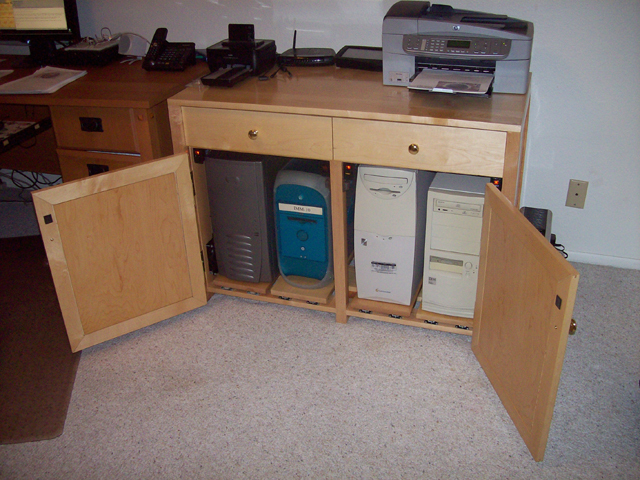 View of the computers installed in the cabinet. 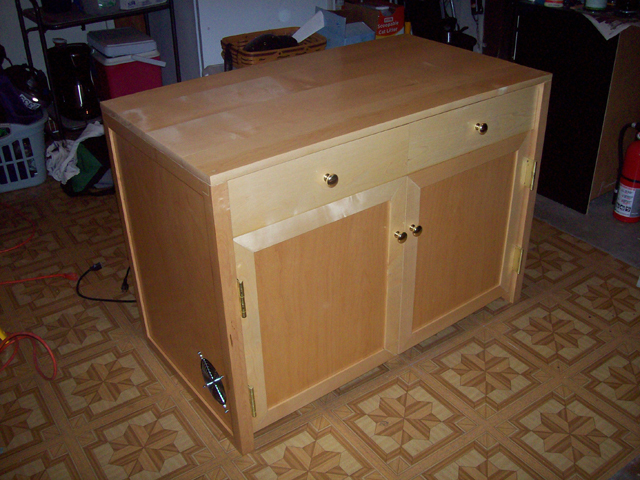 Side view of the completed and installed cabinet.